Creating a website should be your very first step when thinking about starting up a business. It is your very best friend if you want to make money online – or generally start any kind of business. Creating a website in 2 simple steps certainly is the basis for these 10 completely free marketing strategies for startups and SMEs. 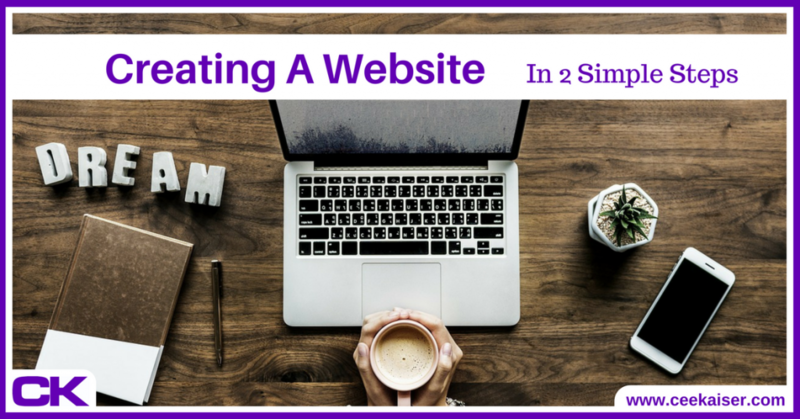 To take all fear away and ensure this doesn’t block you on your way to starting up, I have broken the entire process of creating a website down into two simple steps. Both steps can be achieved within a single hour, if you are focused. Additional time then needs to be spent on creating content and designing the website according to your preferences. Building a website helps you get clearer about your idea while creating something ‘digitally tangible’ at the same time, which you can show to potential clients and investors alike. A website is also the perfect minimum viable product, and an entire site can be set up for about 60 USD in a couple of hours (including a full year of hosting and domain name registration). In case you don’t have a website yet: Do yourself a favor and create one today. And, as stated above already, both can be obtained within less than one hour for about 60 USD. A domain name is the address of your website. The domain name of my website is ceekaiser.com. Every website does need a domain name in order to be found online. In case you are completely new to this, you may first want to learn about Finding The Perfect Domain Name. In case you already have a fair idea what your website will be called, head over to the SiteGround domain search tool, type in the domain name of your choice and check if it is available. If not, try something else or get inspired by SiteGround’s recommendations. Why SiteGround? Because it is the best web host. Important: Do not overthink this. 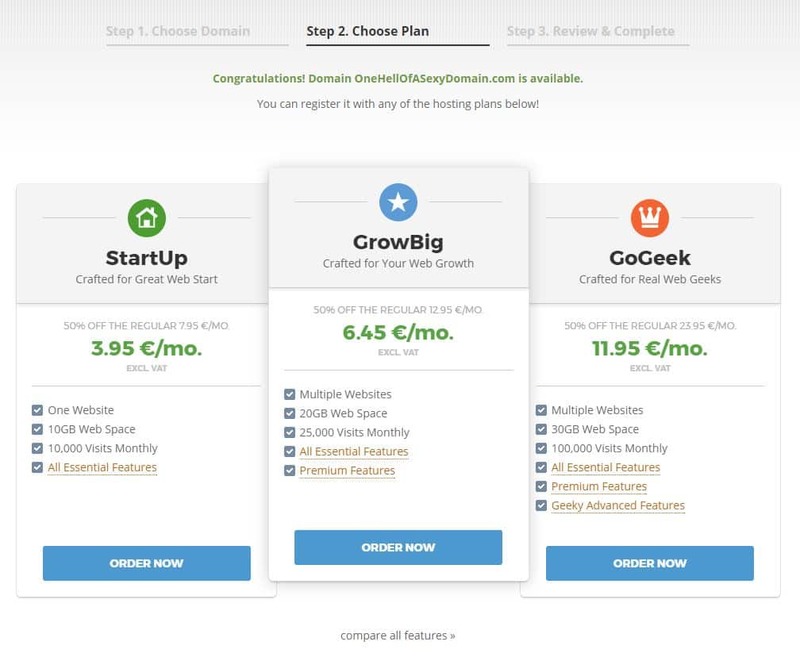 Domain names cost as little as 10 USD for one full year, so in case you realize in two weeks that today wasn’t your brightest day, no worries – you can always buy another domain, and linking your website to a new domain name is as easy as a few clicks of your mouse. Note: Really. Order now. Honestly: What could you possibly lose? In case you are afraid of investing 3.95 USD a month to kickstart your new business venture off the ground, then you should rather be afraid of wasting your time reading this guide. Surely your time must be more valuable than 3.95 USD a month, right? Complete all necessary information and prepare to get your wonderful website live! Confirm that you chose the right hosting plan and select a suitable data center. The best data center is closest to your clients: The closer the data center, the faster people can load your website. In case you are unsure, don’t worry about it – it is a matter of nanoseconds. Next choice is for how long you’d like to register the domain for. Again: In case you’re short on dough, go with one year only (if you’re considering the 1-month option, maybe you should entirely rethink your idea of becoming an entrepreneur). 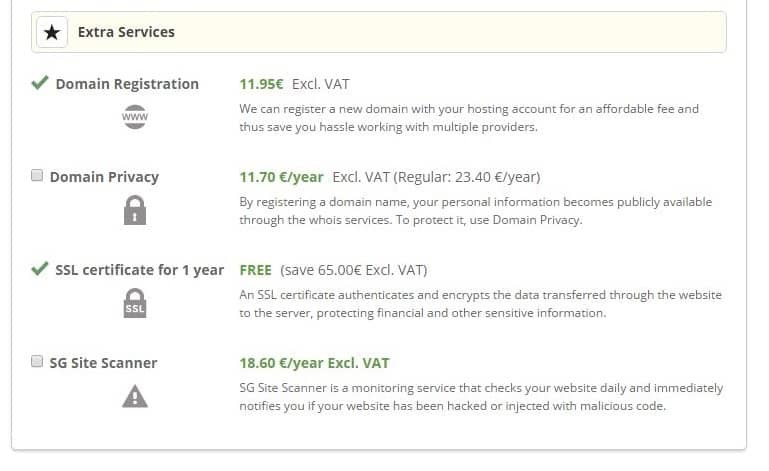 The last two choices for now are whether you’d like to buy Domain Privacy and the SG Site Scanner. Privacy Protection essentially protects you from other people too easily finding out that you registered this domain, and hides the street address you registered it under. Whether you need this feature or not, we leave up to you. Generally speaking, if you’re not up to any nonsense, it doesn’t really matter whether people know it’s your domain or not, and you might as well save those dollars for now. SG Site Scanner is a handy tool to keep your site safe. If you can’t afford it, you will find other services that are cheaper or even entirely free online. If you do have 20 bucks per year spare, invest in it, since there are few things more annoying than hacker attacks on your website. One last checkmark separates you from your very first own website! Go ahead, set that checkmark, click the blue button, and start fulfilling your dreams! Life is either a daring adventure – or nothing at all. If you didn’t know, you know now. And now is the best time to act upon it. That’s what we learned from the Dalai Lama. So do it. Now. WordPress is the world’s most popular Content Management System (CMS). You essentially need this to host and sort all your content and make it look good. Select your type of website and your preferred software (as stated, we recommend WordPress, since it is easy and free to use – but you can also select ‘I don’t know yet’ if you are unsure), and click ‘Submit’. 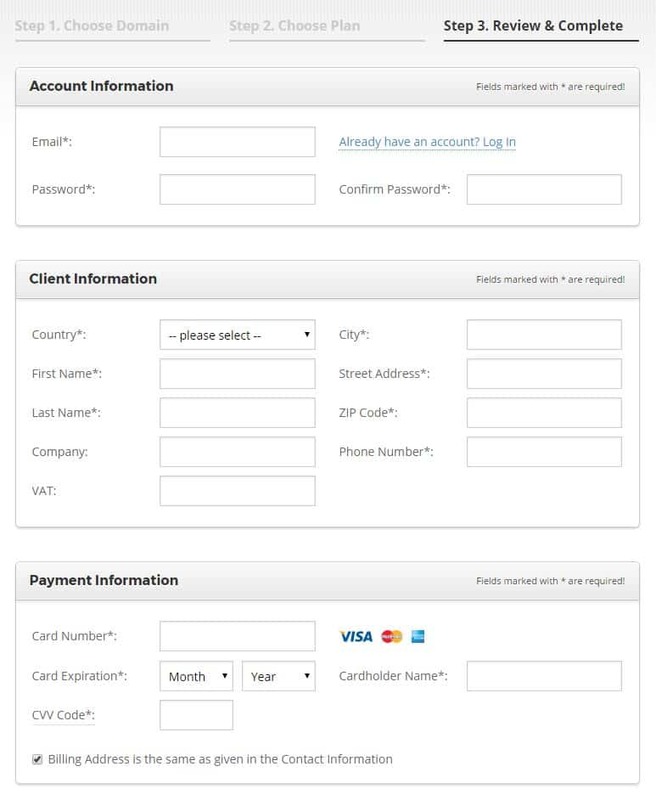 Enter your email as well as a username and a password. 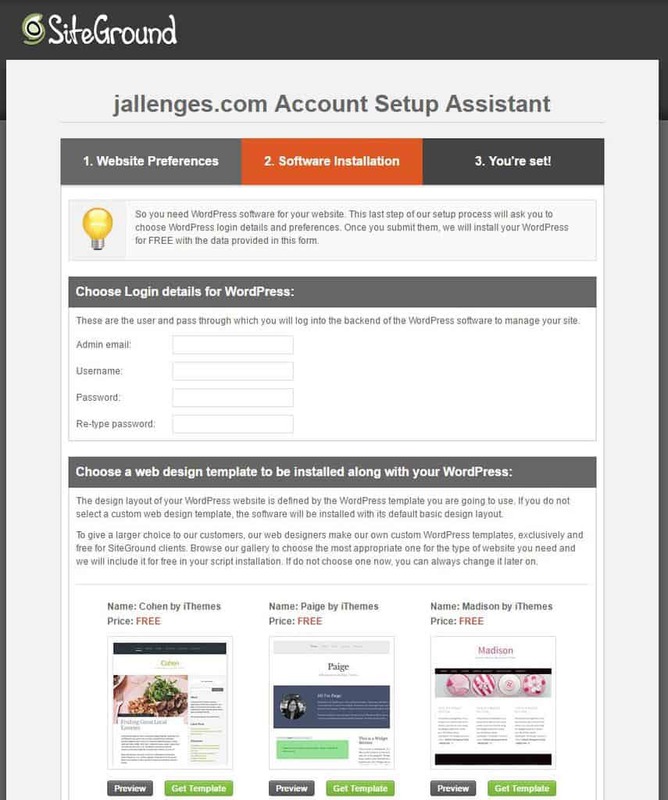 You can also choose a free WordPress template. 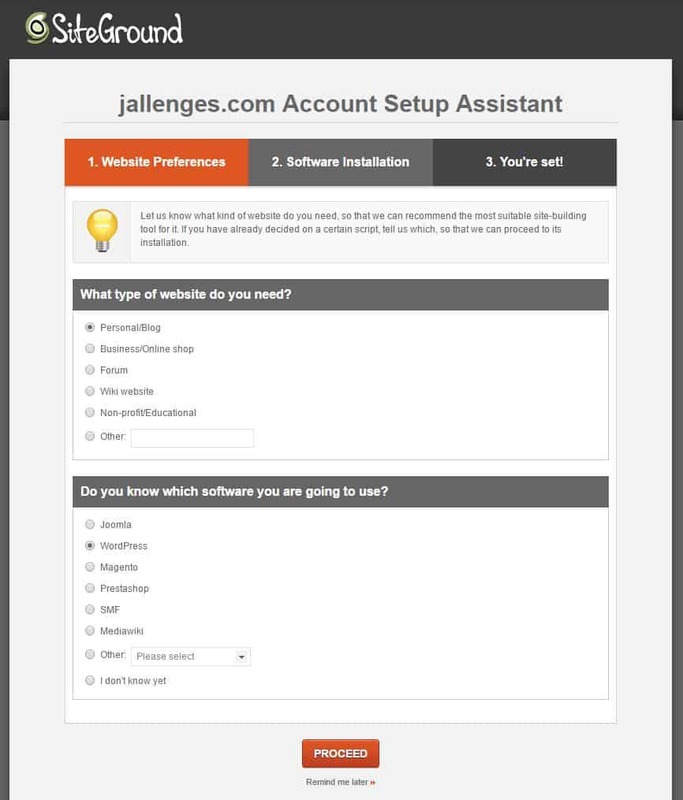 This determines the basic design of your website (you can change this any time you like). Select one you find appealing (or don’t select any, in which case the default WordPress template will be installed for now), and hit ‘Submit’. Note: Make sure to note down your username and password. You will need them. And – boom – that’s it! Now wait for the customer service to get in touch with you, which shouldn’t take longer than half an hour. And ready is your first website! Congratulations! Brilliant! As soon as the customer service sends you your login details, type (just kidding. Copy & paste. Who still types these days?) the yourdomain.com/wp-admin link into your browser, and you will see something like this. 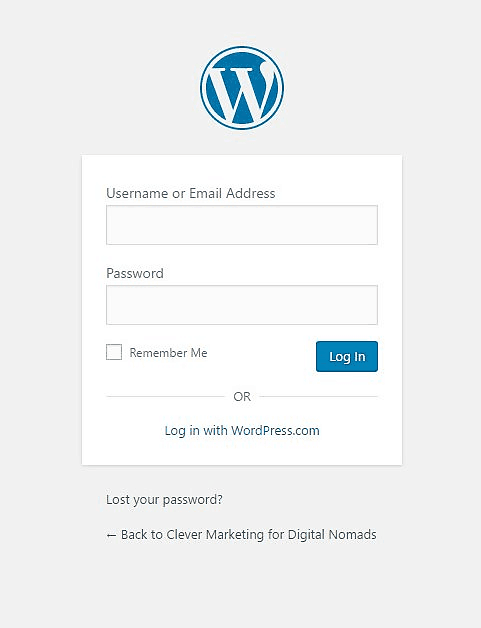 In case you’re not entirely exhausted yet, type in your username and password – and bathe in the glorious feeling that you just logged in for the very first time into your brand-new WordPress account. Keep basking in that feeling. Good job! I knew you’re awesome. Design your website. Create cool content. And then get yourself a free email marketing newsletter system to collect email addresses of interested people.